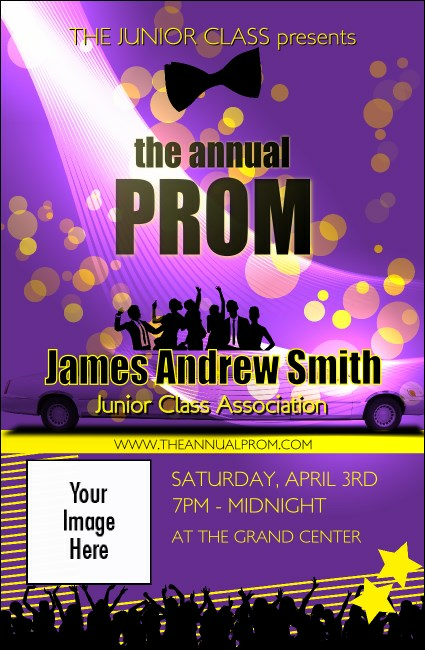 Give your special guests a celebrity experience beginning at check-in with Prom Limo 2 VIP Event Badge Small. Packed with revelers, a slick limousine cruises the center of this purple and gold design. Pop your celebration’s info into the template below - we’ll print and ship. Turn it up with TicketPrinting.com!